Simon ‘Sottle’ Welch is a multi-Legend rank player, tournament winner, and caster who regularly streams on Twitch. He also writes guides for Icy Veins, all while finding time to be a national Yo-Yo champion. Like most of you, I watched with shock and awe as big names tumbled from the recent EU Winter Preliminaries. Unlike most of you, I was doing it from the relative comfort of the Blizzard casting desk in California. As much as anyone, I was guilty of selling the narrative that what we were witnessing was proof of the strength of the unknown player—the noble ladder grinder who completely masters the meta away from the glare of Twitch chat—but was that really the case? Let’s make one thing clear from the start: Unearthing new talent is very much the goal of the Hearthstone Championship Tour in 2016. Everyone operates on a level playing field, and the nepotism that has previously plagued competitive Hearthstone is gone. In past years, competitive Hearthstone has resembled an old boy’s club, with the established players—backed by their organisations—receiving invites to high profile tournaments, which increased their reputation, led to even more invites, and eventually saw them seeded in tournaments that granted HCT (then WCS) points to qualify for the World Championship directly. If this process had been allowed to continue it would have been hugely damaging to the game. But let’s be clear on another thing: Hearthstone is a game that contains a higher level of variance than most esports. A better player will have a favourable winrate against a weaker one, but not by anything like the distance that you would expect in a MOBA, FPS, or fighting game. The measure of a player’s consistency is taken over months and years, not individual tournaments. The tension between these two aspects of Hearthstone has led to furious debate on Twitter, Reddit, and in Twitch chat, about whether the results of the EU Winter Prelims meant the game was not viable competitively, or whether it meant the people we thought were the top players have actually just had it easy and are now being exposed. So what exactly happened in Europe? For those who didn’t catch the action, a string of high profile pros including current World Champion Ostkaka, Europe Champion Thijs, Gaara (see top video), Xixo—who made his feelings clear on Twitter—and many others fell by the wayside, leaving the top eight populated by complete unknowns. North America followed a similar pattern the following week with huge names like StrifeCro, Tidesoftime, and ThatsAdmirable (who did come within a series of qualifying) failing to make the cut, whilst Chakki, Amnesiac, and arguably Fibonacci, were the only recognisable names to qualify. These unknown players didn’t simply turn up and luck their way through a single tournament. Again, let’s not pretend that the results from two tournaments can present a convincing argument that the big-name pros are washed up, nor do they prove we’re about to usher in a new, glorious age of ladder heroes. It’s important to put what happened in context. These unknown players didn’t simply turn up and luck their way through the tournaments. Even reaching the preliminaries is a long, grueling road that these players set out on months ago. Endless ladder grinding to secure those vital top 100 finishes in seasons that have been super-competitive, alongside victories in stacked open tournaments, means that these guys have already been tested extensively before they showed their faces on stream. The same can be said for the pros, though—nothing was handed to them this time, they had to do it the hard way like everyone else. For me, the Hearthstone community arguing about whether the game is a viable esport is missing the point. We already know it’s a competitive game in which the better player can win with acceptable consistency over a long enough timeline, and it’s clear that all the players who ended up qualifying were very good at what they do. The real issue is with the current state of the Hearthstone meta. The most powerful decks right now, particularly Secret Paladin and Midrange Druid, are far too simplistic, and offer disproportionate rewards for very little investment. Which is not to say you can win a high level tournament with Secret Paladin or Druid without being a very good Hearthstone player—that would be a ridiculous assertion—but it does mean that there is less room for a dominant player to assert his superiority when the strong decks offer so little room between their skill floor and skill ceiling. High skill decks exist in Hearthstone: Patron Warrior, Freeze Mage, and Oil Rogue to name a few. These decks offer so many intricacies and matchup specific concerns that very few—possibly even zero—top level players would claim to have mastery of all of them. In a meta where these are the top decks, players who have ascended to the lofty heights of Freeze Mage mastery will have more of an opportunity to impose their dominance on lesser skilled adversaries. The range of play is greater, the decisions more impactful, and the level of required strategic knowledge is much higher. Simple midrange curve decks like Paladin and Druid compress the field, giving less of an edge to the stronger player since the gap between absolute perfection and the basic “acceptable” level of play is so small. And so you have your culprit for the high number of upsets. 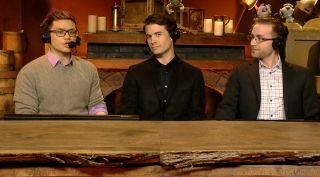 The Hearthstone Championship Tour initiative is a noble one, and seeing who ultimately comes out on top over a year-long format with no favouritism, regardless of reputation, team support, or stream viewership, is a fascinating prospect. However, the state of the game currently hinders that goal. And so to our potential saviour: the sunlit uplands of Standard Mode await us, where all will be balanced and skilled! Well, maybe. We’ll need to see what’s in the new expansion, and the accompanying nerfs to the Classic cards, to truly evaluate the impact of Standard—but in the context of the EU and NA HCT prelims, the gutting of Secret Paladin’s core cards, along with the the widely anticipated nerfs to at least something Druid related, will hopefully go some way to re-opening the skill gap in competitive Hearthstone. And then we can put all this petty squabbling aside and let the cards do the talking.